...or has it been a really long time since Chavez waved around the little blue book? Article 297. Jurisdiction over contentious electoral affairs shall be exercised by the Electoral Chamber of the Supreme Tribunal of Justice and the other tribunals determined by laws. "Plagues are, in fact, quite common, but it's hard to believe in them when you see them about to strike. There have been in the world as many plagues as wars, and yet, plagues and wars always catch people by surprise. When a war starts, people say 'this can't last, it's too stupid.' And, without a doubt, war is obviously too stupid, but that doesn't keep it from lasting. Stupidity always insists; you would realize that if you weren't always thinking of yourself. Our countrymen, in this respect, were like everyone else. They were humanity. They didn't believe in plagues. "The plague is not made on a human scale, and therefore men always say that the plague is unreal, a bad dream that must pass. "But it doesn't always pass, and from one bad dream to the next, it's the men who pass, and the humanists first of all, because they haven't taken precautions. "Our countrymen were no more guilty than others; they forgot their humility, that's all. They thought everything was possible for them, which meant, as a matter of course, that all plagues were impossible. "And how could they have thought of the plague, which suppresses the future, their movements and their discussions? They thought themselves free and no one could be free so long as there were plagues." On this Saturday, I want to call the reader's attention to a disquieting notion that Camus slides in front of us: that plagues and wars always catch people unaware. Especially civil wars, I'd add. It bears stopping to reflect on Camus' words, right now, in the wake of a well justified protest work stoppage [Ibsen is referring to the one-day National Strike in October 2002] that some - very few, but very powerful - people would like to twist and stretch until turning it into the pretext for military intervention. Camus, as is well-known, wasn't precisely the contemplative type, much less a coward: with daring and intelligence, he did for the French resistence what very few of his own intellectual establishment did during the nazi occupation. So Camus knew what he was talking about when he said that the first reflex you have towards the absurdity that war engenders is to tell yourself that "this can't last, it's too stupid." "This can't last: it's too stupid," says the father in "The bicycles are for the summer," the acclaimed Spanish film by Jaime Chavarri, based on a play by the great Fernando Fern�n G�mez, to the whole family gathered round the dinner table, one evening in July 1936, commenting on the news that had just come over the radio that afternoon: in a remote overseas garrisons an obscure colonel named Francisco Franco had led an uprising against the Spanish Republic. But things don't turn out the way they'd imagined - "how could they have thought of the pest, which suppresses the future, their movements and their discussions? They thought themselves free and no one could be free so long as there were plagues" - and the movie ends when only the viewer knows that there will be no other summer with bicycles because that "which couldn't last, because it was too stupid" has become a frightful war that in three indelible years would leave a million dead and one of the most abhorrent and ignominious dictatorships of the last century. It just happens that both sides made the same mistake: underestimating the other. The fascists thought it would be enough to carry off a military coup, the republican government calculated that it could put the coup down easily. It's taken almost sixty years for the philosopher Juli�n Mar�as - the father of Javier, the novelist - to come to grips with the decisive event for three generations of Spaniards. He does it in Ser Espa�ol (To Be Spanish) a book that should be required reading for all - chavista or not - who aspire to act constructively in Venezuela's XXI century politics. They would encounter Mar�as account of how it was possible to reach war, and see that, to our discomfort, the ultimate cause of the catastrophe was not "the disagreements, or the confrontations, not even the struggle, but rather the will to not get along, the determination to see the 'other' as unacceptable, intolerable, unbearable." It's inevitable to think of today's Venezuela when Mar�as carefully recreates before our eyes the mechanism whereby "groups were formed that would enter into the category of the mutually irreconcileable." Or when he points out how that diabolical will to not get along brought about "the successive entry of parts of the social body into what one might call automatic opposition." Slowly at first, but later on incredibly fast, the entire material and social life of Spain caved in to the primacy of the political, "such that every other aspect was obscured: the only thing you needed to know about a man, a woman, a book, a company, a proposal, was whether it was from 'the right' or 'the left' and your reaction was automatic. Politics eclipsed every other consideration." These burning pages, written by a Spaniard on his own history, dissect something that many people suppose cannot happen in Venezuela "because it's too stupid." What's interesting - and alarming - is that almost every paragraph seems to refer to the current political scene in Venezuela. The similarities are laid bare when Mar�as discusses the way the intellectual life and the social production of meaning in Spain went up in smoke, in what he describes as "a collective retreat from intelligence, a frightful narrowing of the mind by way of simplification: the infinite variety of reality was, for many, reduced to mere stencils or labels, designed to unleash automatic reflexes, elementary, unnuanced reflexes. This led to a tendency towards abstraction, dehumanization, a necessary condition to generalized violence. And laziness, especially, when it came to thinking, to looking for intelligent solutions to problems; to imagine the others, to imagine their point of view, to understand their reasons, their fears. And also to carry out with continuity the acts needed to solve or abate those problems, to put in place an attractive alternative. Magic was easier, verbal solutions that do away with thought. "The war was a consequence of frivolity. This seems to me the key word. Spanish politicians, almost without exception, most of the church, a large number of those who thought of themselves as 'intellectuals' (and, of course, of the journalists), most of the economically powerful (bankers, businessmen, large landholders), trade union leaders, gave themselves over to playing with the gravest of matters without the least sense of responsibility, without imagining the consequences of what they did, said, or failed to say. I was urged to read Ser Espa�ol by a friend who had found in it the same parallels with our current situation that I comment on today. When I closed it, I realized that if we went and asked people like Hugo Ch�vez, or Carlos Ortega, or Diosdado Cabello or Andr�s Vel�squez, or Carlos Fern�ndez, or Willian Lara or Cecilia Sosa or Iris Varela or Marta Colomina if they want a Civil War in Venezuela they would surely answer that of course not, heaven forbid! who would wish a thing like that? But one can only consider with infinite sadness the clear-eyed wisdom of Juli�n Mar�as, poured into words that read as though composed for us: "They didn't want a civil war, but they wanted what turned out to be a civil war: A) Dividing the country in two bands. B) Identifying the 'other' with evil. C) Not taking them into account, not even as a real danger or an efficient adversary. D) To eliminate them, get them out of the way (politically; physically if necessary.)" And then: "Stupidity always insists. You would realize that if you weren't always thinking of yourself." Will we Venezuelans know how to prove Camus wrong, just once? There may be less than a week to go to decide. The war of the salas continues in the Supreme Tribunal, with too many machinations to keep track of. Duque's dad says the Sala Plena is the chivo que m�s mea in the Supreme Tribunal. He says the (opposition leaning) electoral chamber still has jurisdiction over the signatures, but that if there is a jurisdictional conflict, the Sala Electoral should take the matter to the entire court. Does anyone have a proper head-count there? As per usual, the Economist has the most perceptive analysis around. Don't they read the Economist at the NYT?! How does Venezuela's increasingly authoritarian president get away with it? EVEN before the election of Hugo Ch�vez, Venezuela was in trouble. But in the five years since he became president, Mr Ch�vez has steered his country into the abyss. The economy is disintegrating; the opposition is trying to oust him through a California-style recall referendum; other leaders revile him. Yet Mr Ch�vez still looks safe in his job. Why? In part, because of some old-fashioned Latin American strong-arming. The opposition groups allege that around a dozen people have been killed in the last two weeks, during street protests at the scuppering of their referendum campaign. Venezuela's electoral commission, the CNE, controversially disqualified over 1m signatures on the recall petition; its organisers will imminently decide whether to try to get some of those names reinstated�thus meeting the threshold required to trigger a referendum�or give up altogether. The chances of a referendum actually being held look slim. The Organisation of American States reports on events in Venezuela. Another part of the answer is Mr Ch�vez's judicious use of electoral bribes. During 2002 and 2003 alone, abetted by strikes and lockouts, his government presided over a drop of at least 18% in GDP. Venezuelans are now living on income levels lower than any since the 1950s. Yet by diverting resources into programmes that benefit his own constituency among the poor, Mr Ch�vez has retained popularity ratings of between 30% and 40%. He can afford the bribes because he has oil. After an abortive opposition attempt to force him from office by paralysing the oil industry, Mr Ch�vez introduced price and exchange controls, which have proved formidable tools for keeping the rebellious private sector in check. In 2003, the average price of a barrel of Venezuelan oil ($25.65) was around 17% higher than the year before. In 2004, it has remained above $27. In theory, the windfall profits that the high prices bring to the state oil corporation, PDVSA, should go into a fund to compensate for the vicissitudes of the oil-price cycle. But Mr Ch�vez has raided the fund, and now argues that such revenues should pay for economic subsidies. He has other sources of income, too. His bid to persuade the central bank, the BCV, to hand over $1 billion of its reserves�which Mr Ch�vez wanted to distribute in the form of agricultural loans�failed. No matter; now PDVSA is to shunt part of its income into government agriculture, housing and �social� programmes, a transfer that may well violate Venezuela's constitution. Moreover, stringent restrictions on foreign exchange have boosted the BCV's international reserves from around $13 billion in January of 2003 to over $22 billion now. In conjunction with that growth, a devaluation of the official dollar exchange rate, from 1,600 to 1,920 bol�vares, has created notional bol�var �earnings� that Mr Ch�vez's government has grabbed. As well as the loans and subsidies, the cash has been channelled into social programmes of doubtful durability. These should boost the vote for the president in the unlikely event of a recall referendum, and for his candidates in the mayoral and gubernatorial elections due in August. Parliamentary elections are due next year. Despite its experience with the thwarted recall campaign, the opposition is unlikely to boycott them altogether, thus lending the votes a semblance of credibility. What can the rest of Latin America do about him? If (and probably when) the opposition pulls out of the rigged referendum process, or is finally defeated by the CNE's machinations, the verdict of international observers will doubtless be harsh. The Organisation of American States (OAS) may debate the imposition of sanctions. The United States would like Brazil to take the lead in punishing Mr Ch�vez; and Luiz In�cio Lula da Silva, Brazil's president, is himself increasingly disenchanted with his one-time ally. But even if Lula obliges, the OAS is unlikely to agree on anything much. Quite apart from the welfare of Venezuelans, George Bush's administration has plenty of reasons for wanting to see the back of Mr Ch�vez. He is implacably opposed to the Free-Trade Area of the Americas, and to Plan Colombia, the campaign to defeat guerrillas and drug-trafficking in Venezuela's neighbour�two of America's most cherished regional initiatives. And he has created serious instability in a country that accounts for around 13% of American oil imports. This week, he threatened to cut the oil supply to America altogether, should Mr Bush try to dislodge him. Given his country's dependence on the dollars that the exports to America bring in, the threat was a little outlandish (and Mr Ch�vez later toned it down). But, equally, Mr Bush cannot himself afford to ignore the danger of a fuel price hike, especially in an American election year. With his hands on the oil pump, and the recall campaign almost snuffed out, Mr Ch�vez looks set to hang on indefinitely. The "Tribunal de Substanciacion" has rejected requests to have the Electoral Chamber magistrates disqualify themselves from the Recall Referendum case. What are the implications? It's not yet clear. The Electoral Chamber is made out of 3 magistrates: Martini Urdaneta, Rafael Hernandez and Luis Martinez. The Comando Ayacucho (the group charged by Chavez to collect signatures to recall opposition congressmen) and the CNE tried to recuse Martini and Hernandez for various reasons but mainly beacuse they suspect them of being close to the opposition. Primero Justicia, or the CD tried to reccuse Mr. Martinez for his relation to Mr. Garc�a. It's all related to the Oppostion's request for a Constitutional injunction from the Supreme Tribunal which would make all signatures valid again and trigger a referendum. My guess is it might get through this instance but not through the Chavista majority in the more senior Constitutional Chamber. There, the 3 pro-Chavez magistrates - Rincon Urdaneta, Delgado Ocando and Cabrera - will be approached by the Government and will say it's unconstitutional and ONLY the CNE has a say on the referendum, which would put the ball back in Carrasquero's court. Martini had links with Copei in the past, though I'm not sure how strong. Anyway, so typical of the government to try and disqualify Hernandez for his links with Miquilena, when that was the reason they put him there in the first place! Any chance the case will go to the whole court? I heard this could happen when there was a conflict between the courts. Another thing I don't understand: if the Electoral court is not there to supervise the CNE on its decisions, then what is its purpose?? Somewhat absurdly, the Sala Constitucional actually outranks the Sala Plena (the full court) on these matters, as I understand it. And there, it's 3-2 for the gov't. But if the Sala Constitucional overrules the Sala Electoral, there will be another huge crisis, and probably be even more violence. Can you imagine? Practically no one in the country is excluded from official aggressiveness. On the one hand towards institutions and on the other towards people, groups, professional associations, etc. Picking fights doesn't pay. Especially for governments. Because citizens elect their governments not to promote fights and waste their time in minor confrontations, but to work for all. So, can you guess who wrote it? Click here for the awful truth. ...it was bound to happen. Eventually the constitutional injunctions started to fly, and by now it looks as though it will be the Supreme Tribunal who will decide on the recall's fate. True to form, the government immediately set out to meddle in the composition of the body that will make the decision. At 1:22 pm yesterday, the Comando Ayacucho leadership was at the Supreme Tribunal trying to get two of the three judges in the electoral chamber to take themselves off the case due to excessive antichavismo. At 2:48, the CNE legal advisor was at the Tribunal for the same reason. The government is terrified that the electoral chamber will reverse the planas decision and order CNE to hold a recall. Their strategy to defeat this is twofold. First, pressure independent-minded Electoral Chamber magistrates to take themselves off the case so as to leave the decision fully in the hands of chavista activists. If that doesn't work, appeal the Electoral Chamber's decision to the Supreme Tribunal's higher ranking Constitutional Chamber, where the 3-2 chavista majority looks more solid. The notion of accepting a decision made by a body that does not take orders from Chavez runs so deeply counter to the bedrock ideology of the regime that it's not even been considered. One way or another, chavismo refuses to stand in front of any judge it cannot control. The government continues to work to put the final decision in the hands of ideologically pliable cronies. It's what they've been doing for five years: why stop now? Moreover, opposition journalists spotted CNE head Francisco Carrasquero once again meeting TSJ chief justice Ivan Rincon. The fate of the country in the hands of two chavistas maracuchos. Que desgracia. This Financial Times piece can't get worked up over a revelation that, two weeks ago, would've caused an uproar. "Diplomats say that a sampling of the disputed signatures, carried out by the Organisation of American States, found that 93 per cent were valid." Now you understand why the government didn't accept the sampling methodology. One of the most difficult points to put across to foreign readers, especially those who may be inclined to sympathize with a leftwing regime in a poor country, is the consistently, systematically, unabashedly deceptive nature of the Chavez regime. It's not that regime leaders lie now and then about this or that, or that they bend the rules beyond breaking point now or then, it's that foul-play is their default mode, standard operating procedure, on most issues most of the time. This list contains just 100 particularly public and blatant lies, deceptions, dirty tricks and abuses of power - but comes very far from exhausting the possibilities. In a proper democracy, any one of these lies would have set off a major scandal, and any two or three of them together might set off a constitutional crisis. In Venezuela, they're so common, they barely make the headlines anymore. TAKEN: M. Madrigal. Broken the law on campaign funding in 1998: President Chavez took $1.5 million in illegal campaign contributions from Spain's Banco Bilbao Viscaya and lied about it. The contributions were only discovered due to a judicial investigation by judge Baltazar Garzon in Spain. No investigation was carried out in Venezuela before, during, or after the Spanish inquiry. TAKEN: Lin. Deceived about Bolivar's teachings: President Chavez has consistently portrayed Bolivar - Venezuela's 19th century national - as a proto-Marxist. Scholars agree that Bolivar was no such thing - he was a 19th century style liberal. TAKEN: Lin. Lied and broke anti-corruption laws about the missing payments to FIEM: The government has lied systematically over a period of years over the funding of the Macroeconomic Stabilization Fund - FIEM - designed to even out oil revenues between high oil price years and low oil price years. In 2001, payments worth $2 billion dollars earmarked for the fund simply disappeared. Delito de salvaguarda is the expression in Spanish. Covered corruption in Plan Bolivar: The regime has consistently dismissed allegations of corruption at the military social-cooperation plan, despite bank security camera photos that show soldiers depositing Plan Bolivar checks into personal accounts. Such evidence incriminates, among many others, General Jorge Garcia Carneiro, who instead of being charged and tried was promoted to "three-sun General" (equivalent to 5-stars in the US) and appointed Defense Minister. TAKEN: Cesar. Did a 180� turn on official perks: President Chavez initially made a major populist show, selling off PDVSA's corporate jet fleet in its entirety. Soon, though, he turned around and bought an $85 million luxury Airbus A319 for presidential use, among many other examples. TAKEN: Juantxo. 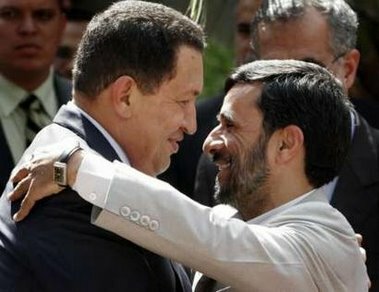 Lied and broke the constitution and anti-corruption laws in the Oil-to-Cuba affair: President Chavez approved an oil supply deal for Fidel Castro's regime on concessionary terms. Despite the advantageous terms, the Cubans have fallen behind on their payments, but the government has refused to cut off supplies, as it would do to any other customer who didn't pay up. Another salvaguarda violation. The government also denied it needed congressional approval for the treaty, which contravenes the Venezuelan constitution. Lied about the sustainability of the domestic debt: The government presented its strategy to borrow money only in local currency as a coup for economic nationalism. Critics who called the strategy unsustainable were derided or ignored. This year, drowning in red ink, the government unveiled a plan to switch its bolivar debts for dollar-denominated bonds - without ever accepting responsibility for the original, catastrophically costly policy. Failed to investigate bond operations in the Finance Ministry seen as openly fraudulent by independent analysts in a massive violation of anti-corruption laws. TAKEN: Andr�s. Lied about the Orinoco-Apure Axis: Chavez pledged repeatedly to revitalize the south of the country and move millions of northern urban dwellers to the savannahs. The messianic plan was highly impracticable and was never implemented. TAKEN: Miguel. Lied about Ballestas: Denying they had helped this Colombian guerrilla airliner hijacker only to have him turn up in Venezuela as well, and under odd circumstances. Lied about the size of the opposition: Government spokesmen systematically dismiss the opposition as "four cats" even when hundreds of thousands took to the streets. Lied about Lucas Rincon's request for a presidential resignation "la cual acepto:" At around 1:00 am on April 12th, the highest ranking member of the armed forces went on every TV channel and radio station in the country to announce to the nation that President Chavez had resigned. The government would later claim, incongruously, that the opposition simply made up the story of a resignation. Lied about governing inclusevely on April 14th: Promised to "rectify" and listen to all points of view, but quickly reverted to authoritarian mode. Abused his access to state funds to pay supporters to turn up at pro-government rallies: Continues to deny stories of "viaticos" for marchers from the provinces despite mountains of corroboration. Another salvaguarda violation. Lied and obstructed the investigation into paramilitary-style police death squads: The government continues to do nothing about the proliferation of police death squads in the country and still accepts "shootout with the police" as a normal cause for death on police reports. This despite growing evidence that this tag is used by death squads after murdering "undesirables." Another human rights violation. Lied about helping street children: Pledged to put the needs of homeless children at the top of the agenda and proceeded to ignore them for five years. "I will give up my name if within one year there are still street children in Venezuela," said Chavez way back in 1999. Lied about the viability of urban farming: Sold "urban hydroponic farming" as a viable solution to urban hunger. Lied about plots to kill the president: Presented crudely fabricated "evidence" of a series of plots to kill Chavez, including an incongruous plot to shoot down a flying airplane using an anti-tank rocket. SUBSTANTIATED: Lied about the Autopista Regional del Centro shootings: Failed to take action against people shooting on opposition protesters traveling to a march in Caracas on October 10th, 2002, despite having a National Guard Post less than a kilometer down the road. Failed to prosecute the perpetrators. SUBSTANTIATED: Lied about the Charallave shootings: Failed to punish the culprits of the shooting into an opposition march that left one dead and 21 injured in Charallave on January 21, 2003. No one was convicted despite the existence of video evidence of the crime. Lied about the Paro Nacional: Blamed the opposition for the strike despite, by Chavez's own admission, having worked consciously through a so-called Plan Colina to push the opposition into a paro. Lied about Venezuela's impact on world oil prices: Overstating OPEC's influence over prices and ignoring dynamic effects of cartel pricing on market shares. Lied about the sources of pollution in Lake Maracaibo: Blaming it all on the old-PDVSA instead of doing something to improve Maracaibo's ecocidal sewage system. Slandered Intesa: Claiming PDVSA's IT subsidiary had CIA ties but offering no evidence. Lied about Intevep: Idiotically denying PDVSA's R&D department added to the corporation's profitability. TAKEN: Lin.Lied about Citgo: Misrepresenting PDVSA's US subsidiary's role in distributing Venezuelan oil abroad. Lied about selling Ruhr Oel/Alpha Group: Working to sell PDVSA's German subsidiary in secret, without parliamentary debate, to a Russian company with well-known roots in organized crime. Lied about Yucal-Placer Gas Field: Attempting to auction off 11 exploration blocks for land-based natural gas, but attracting bids for only six and seeing only one - Yucal Placer - briefly go into production only to be shut down by PPT-led labor disruptions, and then calling the entire exercise a smashing revolutionary success. Lied and broke the hydrocarbons law about the Free Market Petroleum deal: Attempting to sell oil in contravention of the Hydrocarbons' Law to a shady, unheard of US oil company with rumored ties to the Russian mafia and documented ties to right wing US politician Jack Kemp. Lied about the Las Cristinas gold mine: Promising local people dozens of jobs that never materialized after illegally expropriating one Canadian mining company to favor another Canadian mining company in the complex saga of Venezuela's largest gold mine, in Bolivar State. TAKEN: Tuti Lied about school-enrollment figures: Claiming a million new students enrolled when the Education Ministry's own figures show just shy of 300,000 entrants per year - somewhat, but not much, above the rate of growth of the school-age population. 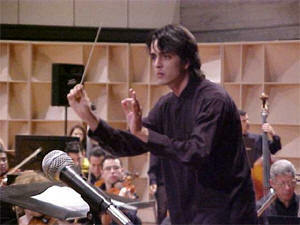 SUBSTANTIATED: Lied about enrolling in 500,000 additional students in the Universidad Bolivariana in one year through "Mision Sucre": Incongruously pledging to raise overall university enrollment by about 75% in a single year, despite having no staff, classroom space, organizational ability or capacity to implement the program. Lied about imitating Vicente Emparan: Chavez pledged to emulate Venezuela's Colonial-era governor recognized by stepping down from power when asked to do so by the people. Instead, he has hung to power through arbitrary and illegal means. Repeatedly made impossible promises on jobs: About once a year, the president promises, with great fanfare, to create hundreds of thousands of new jobs within months through a new "employment plan." No such jobs have ever materialized. The experience of past employment plans never seems to figure into the design of new ones. TAKEN: Cesar. Contradicted himself about the future of "El Camastron:" Pledging his old 70s Boeing 737 (known as "El Camastron") to a variety of noble causes from a people's tourism company to a Caribbean integration airline. Lied about La Casona: Pledging to turn the presidential residence into an abandoned children's home but never delivering. TAKEN: Miguel Lied about La Carlota: Promising to turn the East Side Caracas military air base into an urban park designed by Fruto Vivas, never doing it. TAKEN: Miguel Lied about La Guzmania: Pledging to turn over the presidential retreat into a project for disadvantage children, but - you guessed it - doing nothing. Abused its power over public resources to turn VTV, the state TV broadcaster, into a propaganda arm: Its motto is "The Channel of All Venezuelans" but the content is 100% chavista and highly propagandistic. The situation is made alarming because cadets, soldiers and even officers are banned from watching any other media. Another salvaguarda violation. Lied about who drinks the expensive whiskey in Venezuela: This is a fun one. The government constantly slammed the opposition for kicking back with expensive whiskey in fancy restaurants despite the unprecedented hike in sales of 18-year-old, super-expensive Johnny Walker Blue Label in Venezuela, mostly - according to distributors - for consumption by Chavez's military cronies. Considering the salary of an active duty general, salvaguarda violations are likely. Lied about the integrity of Cesar Gaviria: Chavez questioned the honor of the head of OAS, Cesar Gaviria - one of the best respected diplomats in the hemisphere - because "he's been spending a lot of time with opposition activists." Slandered the Episcopal Conference: The president accused Venezuela's catholic bishops of having "devils under their vestments", outraging the catholic majority in the country. Faced with church protests over his escalating authoritarianism, he said the bishops only reject his government for selfish reasons. TAKEN: Tuti Lied about the number of Bolivarian schools it built: Claiming to have "created" over 3,000 Bolivarian schools when the vast majority are not newly built, but are simply existing schools turned "bolivarian by decree." Lied about the sexual orientation of opposition leaders: Exploiting Venezuelans' homophobia to slur heterosexual opposition leaders who I won't name for obvious reasons. Also attacked the one openly gay National Assembly opposition member for his sexual orientation. Lied about Venezuela's involvement in the coup against Sanchez de Lozada in Bolivia: Despite harshly accusing the US for meddling in Venezuelan events, turned right around and financed the Bolivian uprising that overthrew president Sanchez de Lozada. Lied about the impact of the "missions": Invented numbers about the effectiveness of its Cuban-led literacy drive. Violated anti-corruption laws in implementing them. Lied about Carrasquero's impartiality: Congratulated CNE-head Francisco Carrasquero's decisions as admirable even as CNE openly violated article 72 of the constitution. Lied about the planillas planas: Called signature-gathering forms with similar handwriting a "material error" of the administration, even though the bulk of both government and opposition witnesses at the reafirmazo had been left under the impression assisted signing was perfectly ok. Broke the constitution and the law by taking reprisals against those who signed the recall referendum petition: Threatened public employees with dismissal unless they retract their signatures. Called the act of signing the petition "a terrorist act." Subverted the constitution by appointing a sycophant Prosecutor General: Appointed an "independent, non-partisan prosecutor general" who was just stepping down as Vicepresident of the Republic and is unquestionably, openly, notoriously a hard-core chavista partisan. Lied systematically, in fact routinely, about the Fiscal's willingness to conduct investigations that may prove awkward for the government. Subverted citizens' equal access to the legal system. A massive violation of basic constitutional rights. Subverted the constitution by appointing a sycophant Human Rights Ombudsman: Continued to praise by a Human Rights Ombudsman who has never, once, produced a serious investigation a single accusation of human rights abuses by the government. Politicized the Ombudsman's office until it became an arm of the executive. Subverted the constitution by purging the courts of non-chavista judges: Continued to pretend the courts are independent even as independent judges were fired summarily by the head of the chavista head of the Supreme Tribunal for making decisions the government doesn't like. Lied about the reasons for their dismissals. SUBSTANTIATED: Lied about Robert Mugabe's record: On February 26th, 2004, he singled out Zimbabwe's notorious dictator for praise, calling Mugabe a "freedom fighter" and presenting him with the most symbolically charged gift possible in Venezuela, a replica of Bolivar's sword. SUBSTANTIATED: Lied about being committed to human rights: On March 14, 2004, Chavez loudly protested that there have been no human rights abuses in Venezuela, even as Human Rights Watch says there is no doubt there have been abuses. Slandered Pompeyo Marquez: Called Pompeyo a "tonto util" (useful fool) and charged him for standing by the killers of Alberto Lovera, both shameful slurs against one of the most universally respected leftwing leaders of the last 50 years. 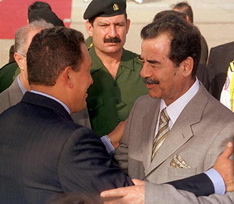 SUBSTANTIATED: Lied about Emiliano Chavez's existence: On March 7th, 2004, speaking to the assembled diplomatic corps, Chavez swore the signature under the name of "Emiliano Chavez" was fake because no such person existed. According to the Associated Press, Emiliano Chavez stepped forward the following day and showed his cedula to reporters, which coincided with the ID number President Chavez had announced. Subverted the constitutions by placing three cronies on the Supreme Tribunal's Constitutional Chamber: Subverted the bedrock constitutional principle of the separation of powers. Lied about Chavez's ultimate political goals: Continued to proclaim themselves democratic even as they clearly moved towards autocracy. Attacked the integrity and intentions of all who question the supremo: Slurring them as escualidos, fascists, carmoniacos, oligarchs, reactionaries, puntofijistas, "stupidists", and a long list of accepting them as the legitimate representatives of the political views of millions and millions of Venezuelans. As a rule, never engage with the substance of criticisms. Subverted the democratic kernel of the constitution by keeping voters away from the ballot box illegally: After launching a political movement based on a radical, people-power ideology, they illegally thwarted the people's sovereign right to convoke a recall referendum by collecting the signatures of 20% of the voters as stated clearly in article 72 of the Constitution. The government has lied, in fact, at just about every turn on just about every significant aspect of policy and politics for over five years. Like his idols Fidel Castro and Robert Mugabe, Hugo Chavez seems to have realized that once you have enough control of the various branches of the state, truth-telling becomes superfluous, unnecessary. So please, don't believe the hype: if the Chavez government said it, it's almost certainly not true. 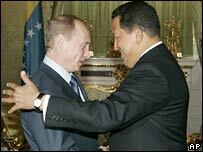 CARACAS, Venezuela - A man President Hugo Chavez claimed was dead begs to differ with the Venezuelan leader. ``I'm not dead. I'm alive and kicking,'' 61-year-old Emiliano Chavez Rosales said in comments published Monday by El Universal newspaper. ``I'm sure Emiliano Chavez doesn't exist,'' the president said, holding up a copy of the petition form. He pointed to an identification number accompanying the signature - No. 2,550,083 - saying it belonged to a dead woman. From today's TalCual Digital. (Do subscribe!) This is a "Por la Libre" column, an essay by a reader rather than a regular columnist. Translated by me. I am writing you, Ernesto Ivanovich, as you were one of the pro-government witnesses during the official "itinerant" canvassing of signatures that we carried out in Los Chaguaramos (in Caracas), because writing to (the head of the national electoral council) Francisco Carrasquero or (its member) Jorge Rodriguez is a waste of time. They have shown too much loathing for Venezuelans; too much genuflection to the supreme chief (Hugo Chavez), which is something that puts them below the dignity of the undersigned. I am writing you, Ernesto Ivanovich, because during those four days when we covered so much of Los Chaguaramos together on foot, you gave every sign of being a fair person, blessed with common sense and respect�to all who wanted to sign. I am sure, Ernesto, that while Carrasquero announced to the country that 876,017 signatures had to be "repaired" because they were under suspicion of being fake, your soul must have been struck with the figure of Mr. Koschevnikov who, though confined to a walker and his house due to a stroke, signed and, despite his severe difficulties with language, had the courtesy of offering you a glass of orange juice in the intimacy of his kitchen. You'll remember also Mrs. Mujica, over 90 years old, who waited for us with three pairs of eyeglasses on the table in case they went missing and each and every national ID card (c�dula) that she has owned during her long life just to leave no doubt of her identity. And Mrs. Romana, 97, whose c�dula number you dictated to me to speed up the progress of the work at hand. Or Mrs. Morales who, due to alzheimer's, did not sign but stamped�her thumbprint twice and bid you goodbye from her apartment with a hug and a cat-call about your nice eyes. These people, Ernesto, Venezuelans like you, are being treated like criminals by a government, which minute by minute exposes more aggressively its dictatorial fang. I have no other comfort, no other way of processing this, other than to write you because I know that among the people who follow Chavez there are many like you, Ernesto Ivanovich, who can still see the measure of humanity, in whom I still want to trust, and who will raise their voices to stop this country from getting swallowed�up by blood. 2. Bring up the Venezuelan crisis in casual conversation to with 3 people who you wouldn't normally talk about it with. Point them to independent sources of information like VenezuelaToday.net, Devil's Exrement, Vcrisis.com and this blog. 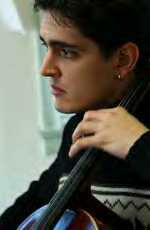 Cellist Carlos Eduardo Izcaray should have been directing the Venezuelan Symphony Orchestra yesterday in a performance of works by Sibelius and Dvorak's 8th symphony. Instead, he was recovering in a Caracas clinic after being brutally tortured and threatened with death by the national guard. Izcaray's crime was to have been in the wrong place at the wrong time. His testimony, and that of dozens of other victims in recent days, highlights the ethical dilemma that helped bring about the resignation Thursday of his country's ambassador to the UN, Milos Alcalay, who - as it happens - is a friend of Carlos Eduardo's father, Felipe Izcaray. Alcalay, a career diplomat with over 30 years experience, said the past week's repression of opposition demonstrators revealed a pattern, "which closely resembles those totalitarian or authoritarian regimes . rejected by the peoples of Latin America in the 1980s". In a letter to foreign minister Jes�s P�rez, he said he could no longer represent a government which denied human rights, rejected dialogue and destabilized democracy. Ironically, his friend's son was a mere bystander Monday night, during clashes between the national guard and demonstrators protesting the refusal of electoral authorities to schedule a recall referendum against President Hugo Ch�vez. "People were throwing stones," he said. "And a molotov cocktail landed almost on top of me. So I was just leaving for home (he lives nearby) when the national guard made their move." Since he was not part of the demonstration - he is not even an opposition sympathiser - Izcaray did not run from the guard, who caught up with him, grabbed him and began giving him a beating that went on for over 20 hours. After hitting him with everything they had to hand, including their night-sticks, they forced him into a truck, where the torture intensified. One guardsman, "put a 9mm pistol in my mouth and said he would kill me then and there," Izcaray said. The next step was to take the contents of a teargas canister and smear it over the faces of the four prisoners in the truck. "They even made me smear it on the other guys," the cellist recalled. "That was particularly humiliating." All this was accompanied by taunts and insults. Their faces burning from the effects of the chemical, the four men were then forced to inhale the same substance from a burning rag. Then they were shut in the truck, with all exits and windows closed, and a teargas bomb was thrown in. "I thought I was going to die," said Izcaray, who came close to passing out. Taken to the headquarters of the guard's 51st Detachment, he was placed with a dozen others in a corner, while the beatings continued, although at no point was any of the prisoners questioned individually. Several were under-age - around 15 or 16 years old - but they received the same treatment as the others. "The guard forced us to sing pro-government songs," he continued. "Then they made us sit in line with our heads bowed, and a guy came along with some kind of electric-shock apparatus - I couldn't see what it was, but they gave us shocks on the neck, hands and arms." Izcaray was left with severe bruising and damage to muscles and nerves. He is now preparing to take legal action against his torturers, but admits to fearing reprisals. "An officer threatened me with death if I talked to the media," he said. "Torture? No, chico!" said defense minister Gen. Jorge Luis Garc�a Carneiro in response to a Herald query. Meanwhile, vice-president Jos� Vicente Rangel said yesterday there had been "not a single case of torture" and that security forces had acted in an "absolutely controlled and rational" fashion. Want Caracas Chronicles delivered daily? "The new PDVSA is red, very red, from top to bottom"
Is the CNE back where it belongs? VCrisis: Alek Boyd's investigative, hard-right site. Edgar's Blog: Leisurely ruminations on the state of the country. Global Voices Online: Worldwide newsblog roundup. Comeflor-oriented Venezuela links. Chavez Reelection Blog: Katy documents the government's use of public resources for Chavez's partisan advantage. OilWars: Most active English-language pro-Ch�vez blog. Venezuela Opinion Duel: A site for debate between Venezuelan blogosphere personalities. "You are and always will be a true freedom warrior." VenEconomy: Venezuela's leading bilingual business magazine, and my former employer. Venezuela Today: Continuously updated, comprehensive listing of Venezuelan news sources. The Daily Journal: Venezuela's only English-language newspaper, under new, pro-government management. 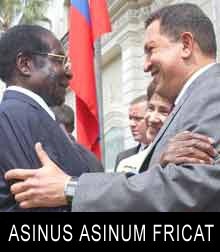 Venezuelanalysis.com: Most sophisticated pro-Chavez site. "I feel I have met a brother and trench mate after meeting Ch�vez." ...y todo lo dem�s: Klaus Meyer's stylish political blog. "I am only a soldier in this battle. Fidel is our president. If we had to name a president of the world with enough powers to set it right, it would be Fidel. I believe in one decade he could set the world right." 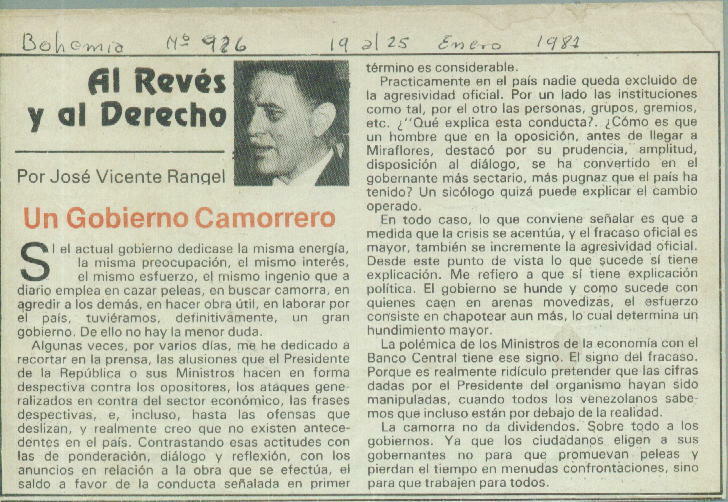 Noticiero Digital: Digest of Venezuelan op-ed columns, along with extremist oppo bulletin board. TalCual: Best newspaper in Venezuela. Edited by the legendary Teodoro Petkoff. Subscription required and worth it. El Universal: Newspaper of record, center-right, strongly opposition minded. El Nacional: Nominally center-left, strongly opposition minded. Subscription required. Union Radio Noticas: Ample Real Audio and Windows Media content. Website frequently down. Registration required. Ultimas Noticias: Tabloid afternoon newspaper edited by Eleazar Diaz Rangel. Chavez-friendly. Subscription. Notiven: Links to dozens of Venezuelan newspapers and digest of recent news. Urru.org: Clearinghouse for opposition information, with a massive archive and lots of videos. Aporrea.org: Website of the Asamblea Popular Revolucionaria. Militant pro-Chavez site, occasionally critical of the government. 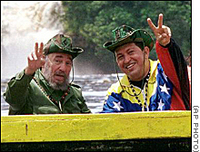 VTV - Canal Ocho: State TV - nicknamed "el Discovery Chavez." Propagandistic. Live WindowsMedia work only sometimes. Panorama: Maracaibo regional newspaper, unique in being both private and aggressively pro-Chavez. Queremos Elegir: Venezuela's original citizen-participation NGOs. Viejas Fotos Actuales: Amazing web archive of Venezuelan historical pictures, films and audio recordings. Provea: One of Venezuela's two most respected, professional human rights' NGOs. Cofavic: The other one of Venezuela's two most respected, professional human rights' NGOs. "We have the same political vision." What the hell is an RSS site feed? "Here, I've got a new friend and together we'll form a team, a go-ahead team. I thank you, Alexander, for solidarity and we've come here to demonstrate our solidarity."